Printed on gold leaf pattern and "Z"
Zorro can't go anywhere without his gloves due to him needing them for every adventure he goes on. Why does this masked man need them? Because quite often Zorro finds himself swinging around on a rope or need a better grip on his sword as he sword fights. You don't want him to hurt his precious hands now do you? This Halloween, if you are planning daring rescues, or a well matched (but not so well matched that you can't win) sword fight you need something to protect your priceless hands as well. So if you have the cape, the mask, and the sword, you know what you need. 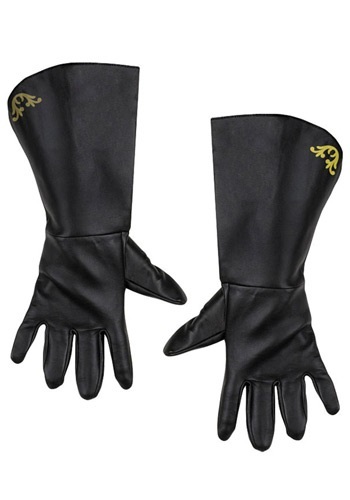 To complete your Zorro costume you need these Zorro Gloves Gauntlets! Just don't forget during all the fighting to save the girl. She might just decide to save herself and go home alone.